Forget conformity, and get serious with the PENTAX K-50, a mid-level DSLR with fast, advanced functionality, all wrapped up in your own bold colors. 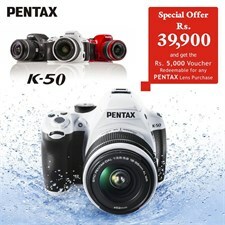 Featuring specifications of a top level DSLR, enjoy a 16 megapixel APS-C CMOS sensor, fast continuous shooting at six frames per second, ISO up to 51200, 100% field of view, innovative in-body shake reduction, and an advanced auto focus module with four optional focusing screens, not to mention the PENTAX-original weather-sealing. Even with features this generous, the K-50 is also available in 120 customizable, brilliant color combinations that are sure to match your personality and style. The K-50’s approachable, easy ergonomics is perfect for families and everyday photography, complete with a wide selection of creative tools and filters for limitless personalized expressions. Get ready to stand out from the crowd and wear your colors on your camera. 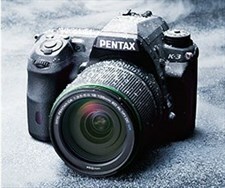 It’s your camera, and your colors, with the PENTAX K-50. 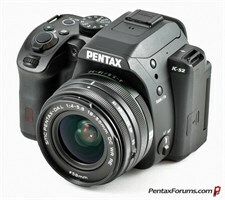 Designed for the demanding photographer, the K-3 features 24 effective megapixels in an APS-C sized CMOS sensor for outstanding high resolution imagery.